Welcome to the St. Mary Gostyn Media Page where we feature our Parish subscription to FORMED online Catholic media, podcasts of our Sunday homilies by our priests, talks from our special events, the latest in Catholic mobile apps and our videos. St. Mary of Gostyn Has Purchased a Gift for You! 24/7 for you to grow in your faith. Looking for more online Catholic content? Enjoy browsing! 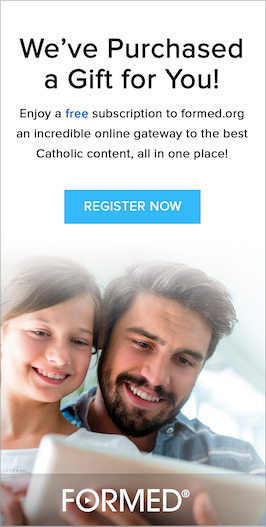 Already have a favorite Catholic site? Let me know about it so we can share it with others – [email protected]. Relevant Radio: Talk radio for Catholic Life. The programming and resources on Relevant Radio help in “bridging the gap between faith and everyday life”. Faith Shared Joyfully. 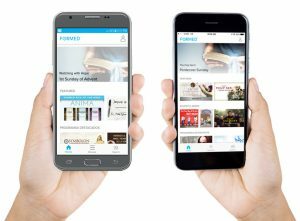 Busted Halo is a unique media resource that utilizes a relevant and accessible voice to help people understand the Catholic faith. Podcasts, blogs and articles explore relevant issues with Catholic leaders such as Jeff Cavins, Father Mike Schmitz, Matt Fradd and more. Word on Fire is a Catholic media organization founded by Bishop Robert Barron that focuses on using digital and traditional media to explain Catholicism to the broader world. Franciscan Media Productions includes an interesting array of Catholic programming, including Minute Meditation and Saint of the Day. Mayslake Ministries is a lay-led Spirituality Center founded by Fr. Jonathan Foster, OFM, providing opportunities for people who seek a deeper relationship with Jesus Christ.